It’s Costco Food Finds time! We are ready for another month of exciting finds at the warehouse store that is Costco. So head over to Costco. Grab a hot dog. And get ready to open your wallet up for this month’s food finds. By the way, we are going with a summer prep theme for this month. The best apple you will find at Costco this time of year. These Koru apples are imported from New Zealand, making them fresher than the Washington grown apples from fall 2017. We have entered that time of year where apple buying becomes tricky. The U.S. grown apples, pretty much all from Washington are now 9-10 months old. This is how long they have been stored. Still edible, but flavor is usually lacking at this point. That is why in the summer time, I tend to only go for apples that are from places like New Zealand. Right now, Costco has some Koru apples from New Zealand. 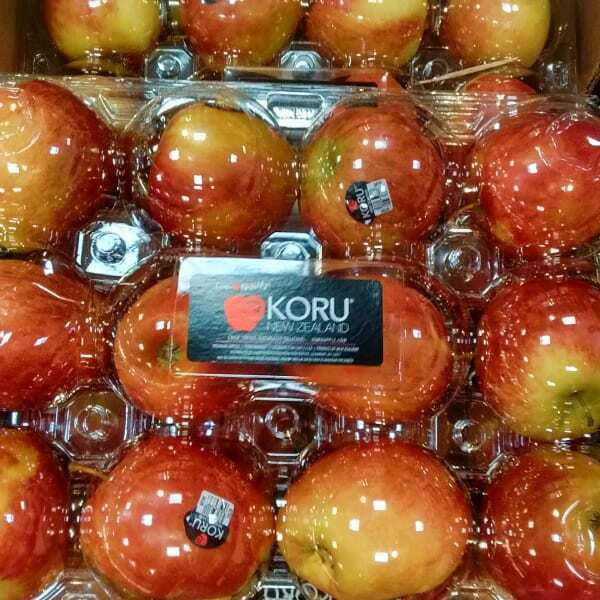 Koru will be the crispiest apple in the store with better flavor than Honeycrisp do right now. I recommend them trying them out. Have you already? My oldest has fallen in love with pierogis! My oldest daughter has really got into pierogis after eating some up a ramp festival in Peninsula, Ohio back in April. I definitely want to make her some from scratch. A couple times I have gotten her some frozen ones that we could quickly heat up on days we were rushed for time or too tired out from sweating in the garden. 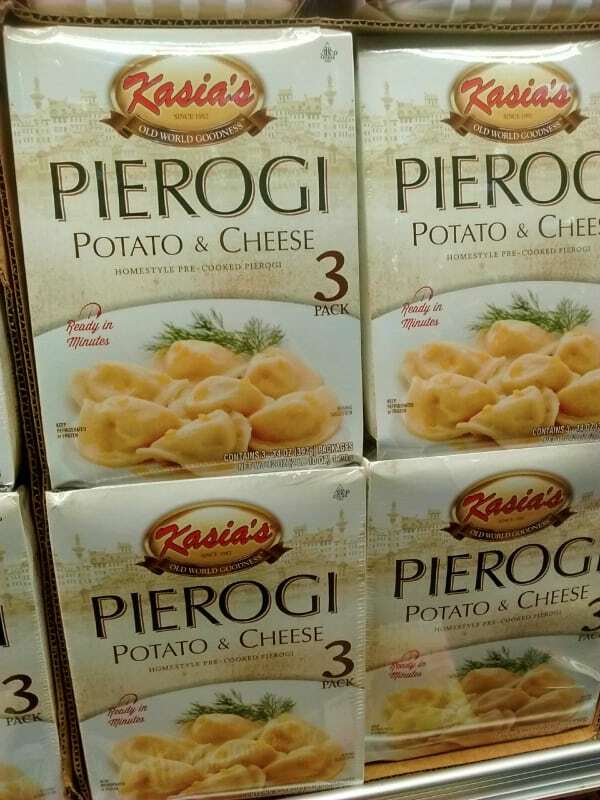 If you want to make your own pierogis, here is a great tool to make the job easier. 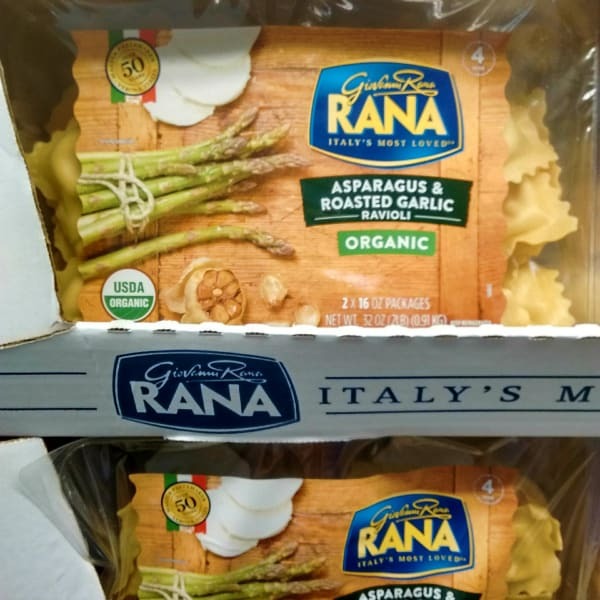 Roasted garlic and asparagus is a great filling for ravioli. I haven’t seen this ravioli flavor before. Rana ravioli is typically pretty good stuff. I like the idea of combining asparagus and roasted garlic. Another quick dinner option. What a great deal! Don’t want to miss this one. Great deal going on now til the 17th. 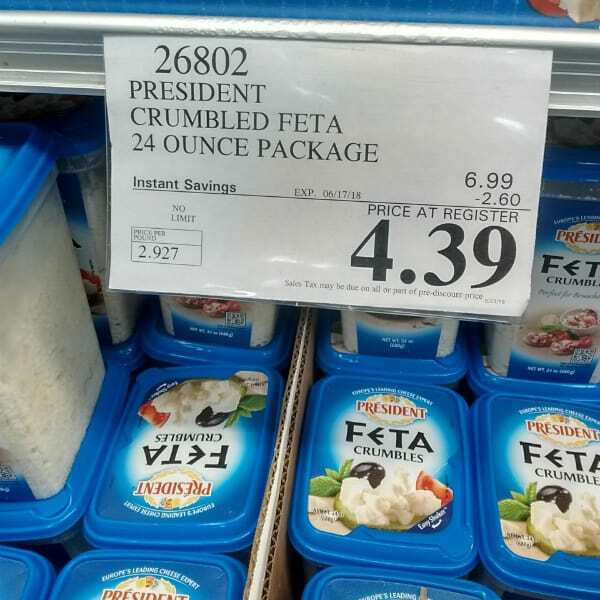 A tub of President brand Feta crumbles is only $4.39, which works out to be just under $3 a pound. Feta is great to have on hand for those summer salads. If you are a watermelon fan, you should try enjoying it with some feta. I once did a demonstration when I worked at Whole Foods that was a salad with watermelon and feta. It was a hit! Or you could try making your own feta at home with a starter kit. It would be something fun to do with the kids over the summer! Always got to have some olive oil on hand. 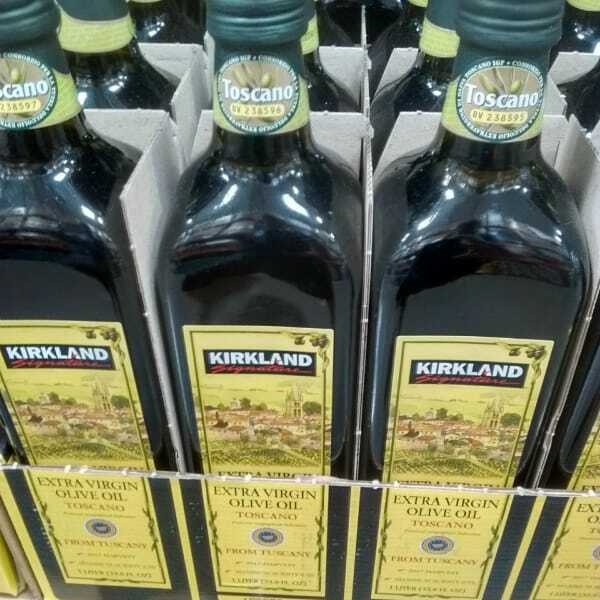 Speaking of summer salads, got have the olive oil for making up your own dressings and for the classic caprese salad – a staple of the summer. In case you don’t know a caprese salad is tomatoes, basil, mozzarella, usually drizzled with olive oil. BBQ on the grill is where it is at in the summer. For this food finds, I want to gather some ingredients to make a homemade BBQ sauce. Yeah you could buy the Sweet Baby Ray’s that Costco has, but what’s the fun of that? Besides this will be much better and you can customize it to your tastes. As you can see on the side of the box these are Honey Fire Nectarines. Sure you could make the sauce with peaches but why not give nectarines some love. 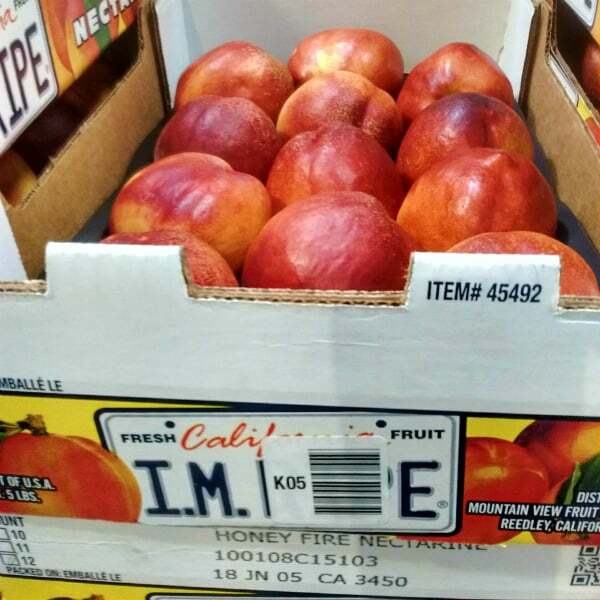 I was especially excited about the nectarines I found at my Costco this week because they were the Honey Fire variety. One side of the box the nectarines come in you can see what variety you are getting. These change all the time, so you can’t expect to get them for long, but keeping a record of what ones you liked will help you know next year to really stock up. So I said these ones were the Honey Fire variety. They are sweet and full of flavor. They even got their own blog post a few years ago – see Honey Fire Nectarines from Trader Joe’s. Summer is definitely a time to stock up on ketchup. Lots of burgers and hot dogs are consumed. The Simply Heinz ketchup defers from their regular ketchup in that it contains sugar and not high fructose corn syrup. Why you have the 3 container of ketchup now. You got plenty to use as a base for your BBQ sauce. Any well rounded BBQ sauce has to have vinegar in it. It’s pretty much a law. I think the apple cider vinegar from Acetum is as good as any for this purpose. You can also combine it with the olive oil mentioned above for a simple vinaigrette for your salad. Get $5 off this raw honey by June 17th. 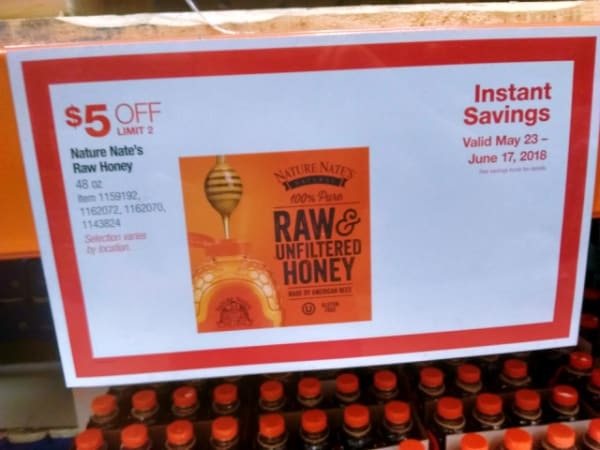 If you get to Costco by the June 17th, you can get this raw honey for only $8.89. A wonderful deal for probably the best honey the Costco offers (at least my Costco). Sugar is added to a lot of BBQ sauce. I would rather use more natural and more flavorful honey instead. If you are regular Costco Food Finds reader I know what you are going to say. Eric, you already mentioned this Worcestershire sauce this year. You would be correct. A few splashes of this will give your BBQ sauce, that unami flavor and be what really knocks your guests socks off at your next cookout. This may be the point where you are saying, ok, where is the recipe? I am going to disappoint you by not giving you one. Hold on. Don’t click the back button just yet. You see the whole point in making your own BBQ sauce is customization. Go to another store besides Costco and you will see how many different types of BBQ sauce on are their shelves. There is almost a new one every time I go to the store. Why? We have different tastes in our BBQ sauce. Some like with more vinegar. Sometimes less. Some like a stronger tomato flavor, and some don’t. Sauces sometimes are sweet, and some aren’t. This is always something I eyeball in my own home. Here is how I like to make it. Cut the 3-4 nectarines into quarters, removing the pit. No peeling needed. Throw them into my food processor. Blend it up. Then add a the ketchup, honey and vinegar. A good starting point would be about a cup of ketchup per nectarine. If they are small maybe less. Blend again. Taste. If it needs more ketchup I add more ketchup. If it needs more vinegar, I add more vinegar. When I got everything in good portion, I add salt and a few splashes of Worcestershire sauce. Now you got an awesome BBQ sauce that perfectly fits your palate. Thank you for blogging, it’s a dying art. 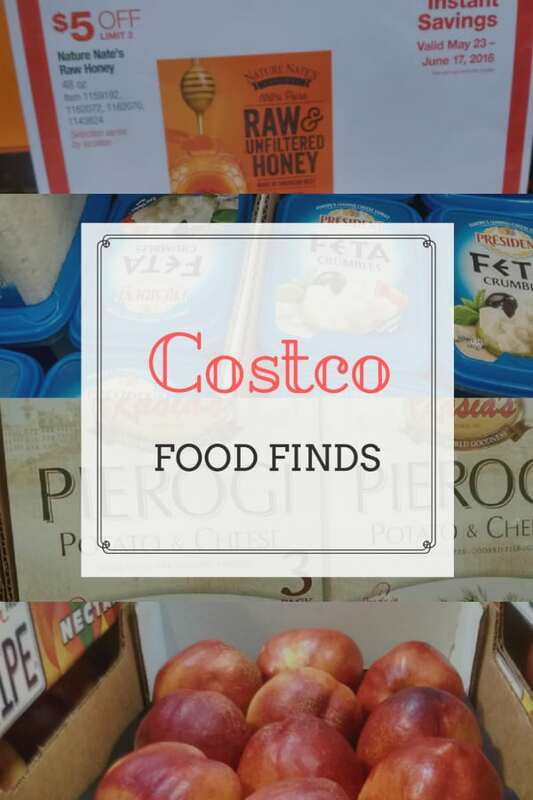 If you are interested in getting tips on shopping at Costco, sign up our exclusive Costco mailing list and get more tips directly to your inbox.